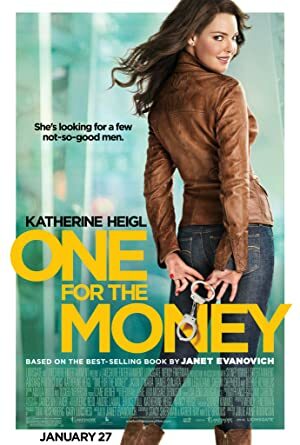 One for the Money (2012) – What's New on Netflix Canada Today! After losing her job, Jersey girl Stephanie Plum is broke. Needing a job she is told that her cousin, a bail bondsman, needs someone to help out in the office. But the only job openings he has are for skip tracers. She learns that Joe Morelli, a guy she knew intimately years ago, is one of the “skips”. She eventually finds him but wasn’t really prepared so he gets away. Another bounty hunter, Ranger, tries to teach her. Eventually she finds Morelli again, but he claims he is innocent of the crime he is accused of and he is trying to prove his innocence. Eventually Stephanie thinks he’s telling the truth so she stakes out the person who can help him. She only finds herself in trouble and Morelli saves her. She tries to find someone who can prove his innocence, but the problem is that shortly after meeting with them they’re killed or attacked.